Wouldn’t it be nice to start December 1 with the details ironed out (as best we can) and the agenda set–knowing where to be when and what to bring? To walk on the first day of the calendar knowing the frivolity—the gifts and cookies and decorating—is secondary. That our hearts are focused on a person and not a present. That we’ve set aside intentional time being and not just doing. That peace and joy and laughter and smiles and contentment is ours for the taking. For in him all the fullness of God was pleased to dwell, 20 and through him to reconcile to himself all things, whether on earth or in heaven, making peace by the blood of his cross. Before the season is completely upon us, it’s good to take an hour or so and plan out our priorities for the Christmas season—what we want to do, how we want to feel, what we want our hearts and minds focused on. Decide to make room in our hearts and lives of ourselves and family for peace, joy, love, and hope (these also represent the weeks of Advent). Make Christmas about Christ’s birth and not the superficial–have those, but don’t let them consume what celebrating means. Choose quality over quantity. I don’t mean just presents. Ask some hard questions about your traditions and why you do them, about your expectations of Christmas and what is (or you feel is) expected of you. Choose a tangible and intangible priority for this Christmas season and focus on that. 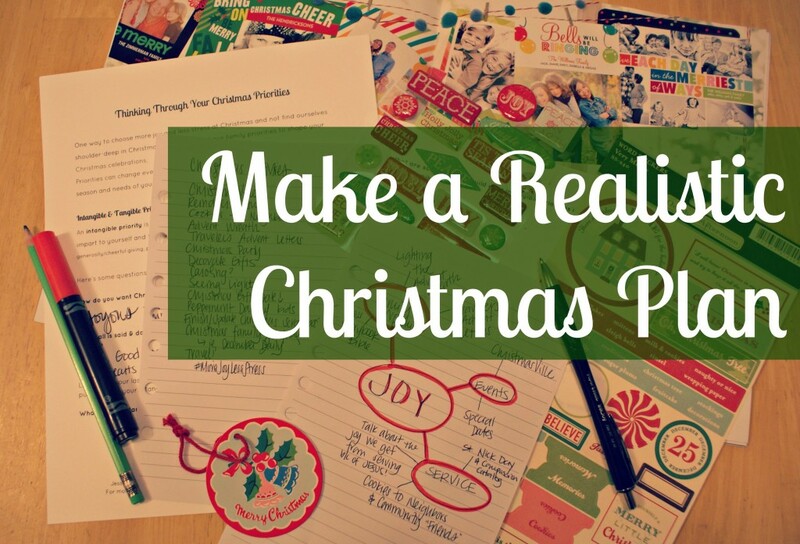 Print out the Streamline Your Christmas Activities printable and write down every event you could attend, date, time, and what you need to bring. Then go back through and prioritize what events actually meet your family’s priorities for the year. Keep your family sanity a priority and remember your calendar is not your master. This is hard, but doable. Let go of those things that are sucking the life-breath out of you. If it’s giving you proverbial hives and making everything more complicated, then let. it. go. Is it the Christmas tree? The 12 dozen cookies you make every year and send out? Is it equally dividing the cost of presents across kids or grandkids? Is it that gift exchange you don’t really care for? Christmas is not about doing. Ever. Being? Yes. Remove what distracts and causes stress and behold Christ. 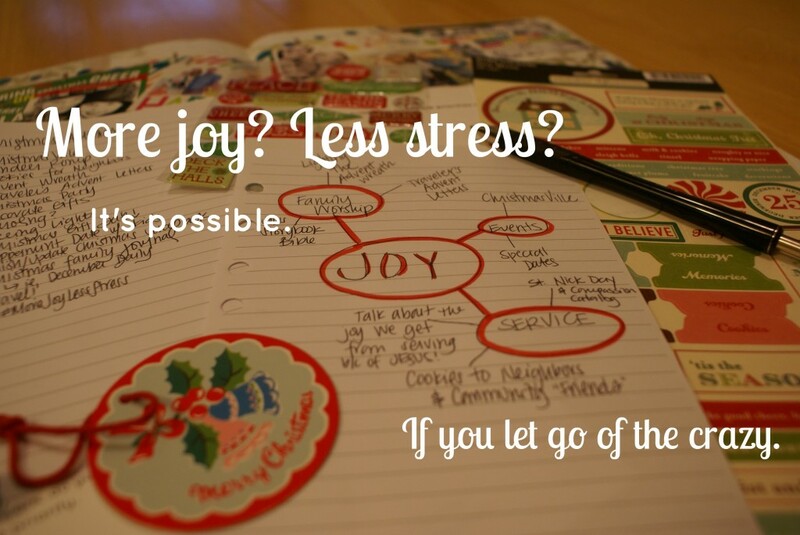 So…Christmas with less stress and more joy? As my son says, let’s do this! Catch up on the whole A Joy-Filled Christmas series here.